No matter your camping preference, we’ve got you covered! We’ve carefully considered the locations of every facility and accommodation: group campers and family reunions will enjoy roomy wide open spaces, while individual families and couples are nestled in the woods in tents, trailers or one of our comfy cabins and owners of large rigs can enjoy the convenience of premium 50 amp electric, shower and cable. Now offering Premium 50 AMP Seasonal Sites. Please contact our office to see how your family can become part of our seasonal camping family. Please contact the office 732-269-1413 for additional information or to make an appointment. 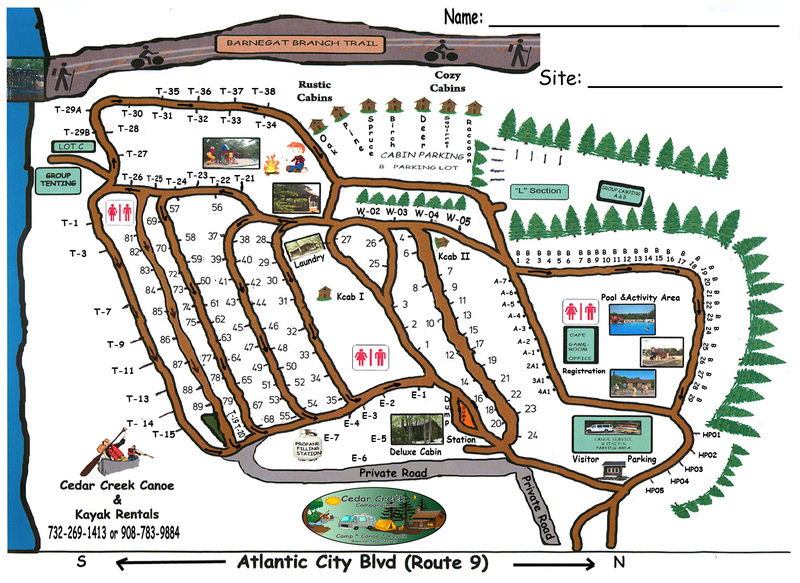 Cedar Creek Campground’s wooded private sites make tent camping a joy. 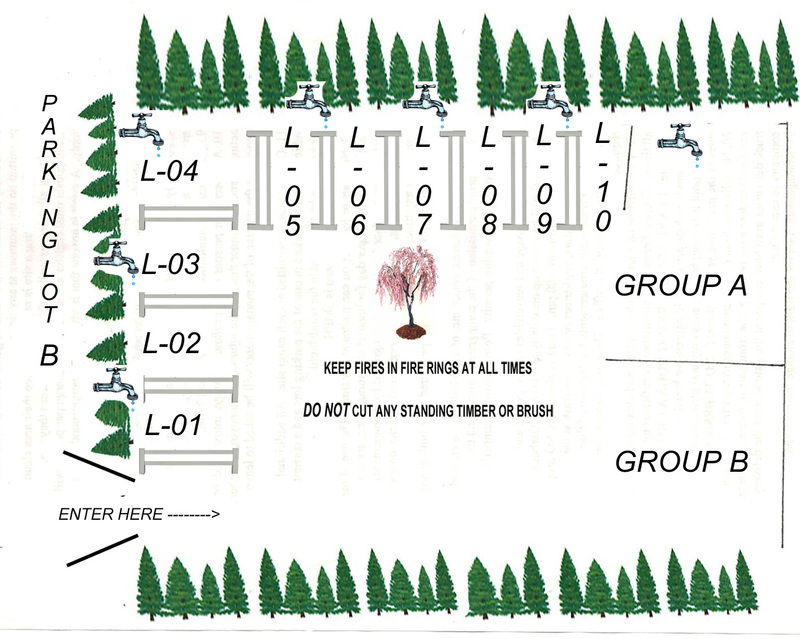 We’ve taken great care in planning the layout of our campground. Families will find a playground close by and all of our amenities within reach. Campsite reservations run from 2 PM on one day to 12 noon the following day. Early check in or late check out based upon availability and there is an additional charge. Website pricing and policy is for review and subject to changes.For exact pricing and policies, please call the office. 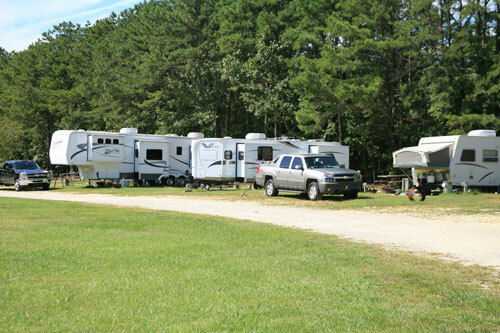 We can accommodate RV’s and trailers of nearly any size and description including pull through sites. Campsite reservations run from 2 PM on one day to 12 noon the following day. Early check in or late check out based upon availability. There is an additional charge. Anyone entering the campground other than a registered camper is a visitor. ALL visitors must stop at the office and register. Visitors who depart within 1/2 hour (30 minutes) of registration will have the fee refunded. RESERVATIONS are accepted and encouraged. For your convenience we accept MasterCard and Visa for deposits and site payments. No reservation will be confirmed without an advanced deposit.NO VISITOR PETS PLEASE. For those without camping gear, we offer a wonderful selection of cabins, from rustic to deluxe with all the amenities of your home. 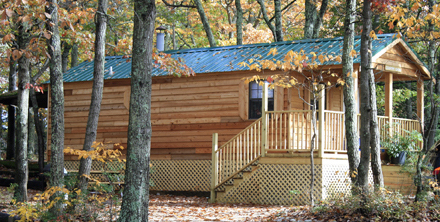 Our Deluxe Camping Cabin has all the amenities of home. This two bedroom, 1½ bath unit is a great way for larger families and organizations to share in the outdoor experience. The unit can accommodate up to 12 persons. The spacious great room and dining area lends itself to group camaraderie. The comfortable oversized chairs and futons in this large area offer seating as well as a combination of double and single sleeping options. One bedroom has a queen size brass bed and a single over single bunk bed. The second bedroom has two single beds. Color television with cable, central air conditioning, central heat and the old fashioned wood stove add to the special features of our deluxe unit. The kitchen amenities include a full size gas stove, oven, refrigerator, microwave, and dishwasher. Just outside the cabin’s back door is the picnic and campfire area, situated in a very pretty natural setting. Bring cookware, utensils, dishes, linens, and bedding. Bed sizes are seven singles, three doubles, and one queen. * The cleaning fee posted reflects a 1 hour cleaning time. Additional fee may be charged based upon the cleaning required. Winter Rate: Contact the office. 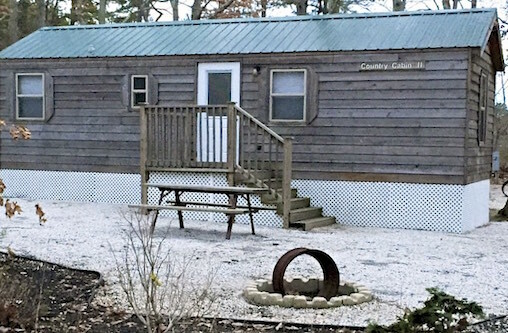 Our Deluxe Cabin offers a great retreat for the Spring and Fall seasons too…in the center of the Great Room there is a wood burning stove to take the chill from those cool nights and adds to the cabin’s charm. Inquire about our special off-season rates for that weekend get-a-way. COUNTRY CABIN 2 has all the comforts of home: 2 bedrooms ( a full size bed and closet; and a 4 sleeper bunk bedroom,full bath ( toilet, full size shower and sink), a refrigerator, two burner stove, electric, heat, and air conditioning, coffee maker, and a flat screen television and a full size kitchen table with seating for six . 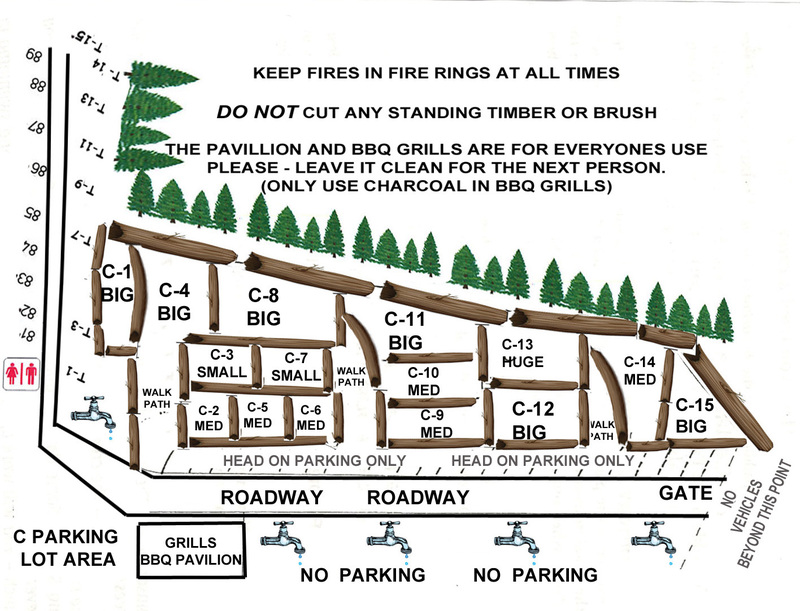 These cabins have a propane BBQ grill, picnic table, and a fire ring. This cabin sleeps a maximum of six people. Mattresses in our Country Cabin are double and twin. Don’t forget to bring your own bedding and cookware. Our COUNTRY CABIN has all the comforts of home: full bath ( toilet, full size shower and sink), a queen sized futon and a seperate bedroom that has four single bunks. An under the counter refrigerator, a two burner stove, electric, heat, and air conditioning, coffee maker, and a flat screen television and a full size kitchen table with seating for six . These cabins have a covered porch with a bench, propane BBQ grill, picnic table, and a fire ring. These cabins sleep a maximum of six people. 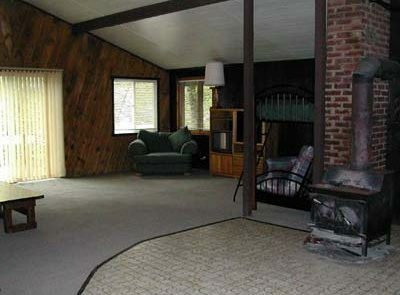 Country Cabins have one bedroom with four single bunks and a pull out couch in the main living area. 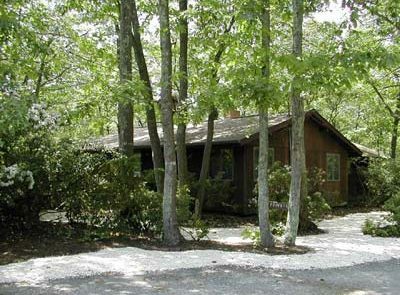 Our Cozy Cabins have all the comforts of home: toilet, shower, sink, refrigerator, microwave, electric, heat, and air conditioning. Each of these cabins has a covered porch with a bench, adjoining deck, propane BBQ grill, picnic table, and a fire ring. 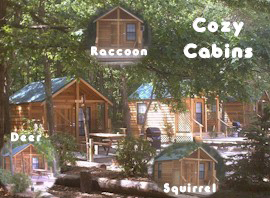 These cabins sleep a maximum of four persons. For your convenience, we have provided a gas barbecue grill outside the cabin. Each cabin can comfortably sleep a family of 4. 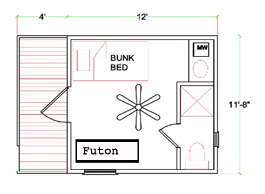 (Optional floor plans are futon and 2 single bunks or double bed and 2 single bunks.) Please be sure to inquire which floor plan is available when making your reservation. NEW!!! We have added foam mattresses to our Rustic Cabins! Cedar Creek’s own Rustic Cabins are like camping in a big, sturdy tent without having to set it up. 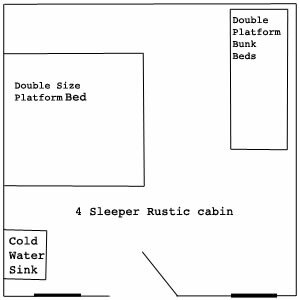 Recently renovated, the rustic cabins have air conditioning,a compact refrigerator,ceiling fan, a cold water sink, skylight, electrical outlet and platform style beds with FOAM mattresses in a primitive setting. All cabins have an outdoor picnic table, fire ring and charcoal barbecue. Oak and Birch, our smaller cabins measure 12 feet by 12 feet. These single room cabins have 1 double bed and 2 single bunks, comfortably accommodating a family of four. Spruce and Pine, our larger cabins measure 12 feet by 16 feet. These single room cabins have 2 double beds and 2 single bunks, comfortably accommodating a family of six. 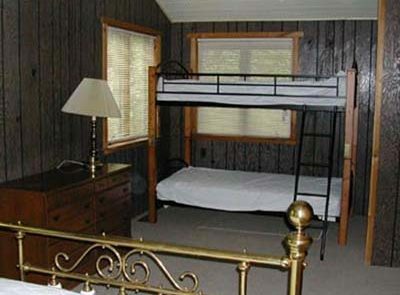 Please remember that our Rustic Cabins have foam mattresses, so you will want to bring your own bedding. 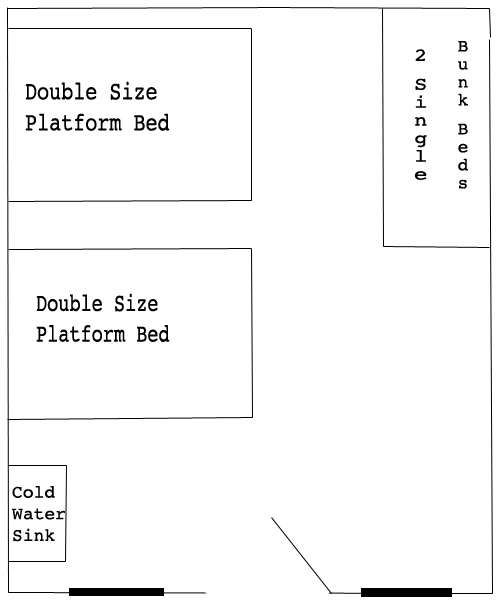 Bed sizes are double and twin. Reservations are suggested. A deposit is required to confirm your reservation. No reservation is confirmed without a deposit. For your convenience we accept Visa and MasterCard. Cleaning Fee Charged reelects the minimum fee charged. Additional fee will be charged if additional cleaning is needed. PETS are not permitted in our rental cabins or cabin areas at any time. No tents are to be set up in the cabin area. NO EXCEPTIONS. A cash KEY DEPOSIT is required upon check-in. The key deposit is returned after check-out and inspection of the cabin. Cancellations: Your deposit less applicable cancellation fee is available only if notification is made 5 days prior to arrival date. Less than 5 days notice NO REFUND is available. PLEASE – THERE ARE ABSOLUTELY NO PETS ALLOWED IN THE RENTAL UNITS! Please note that all rates and policies are subject to change without prior notice. Please see our Campground Policies and Regulations. Enjoy Activities in Good Company! We’ve created a fabulous, roomy open group camping area. It’s perfect for family reunions and youth groups. We’ve hosted birthday parties, business outings, youth sports teams, business and religious groups. We make it easy to reserve, arrive and settle in for a wonderful time together filled with activities and relaxation. 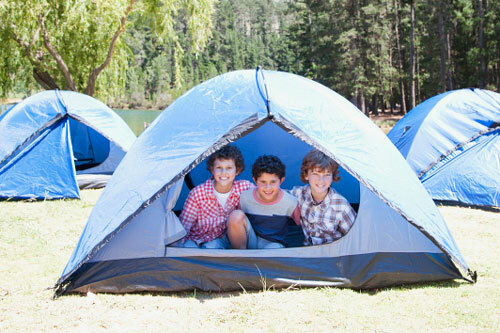 Group camping rates are based on a minimum of 15 campers and are available throughout the camping season. So if you’re planning a get away for your group, call us and reserve today.